Practice does make a better player. As a soccer player, you need to keep yourself motivated. When you feel that you are not being challenged enough, or that you feel you’re not playing hard enough, chances are, you’re not. How can I help you change that? This is the key question that I have been asking myself for a while. I want the players to want to get better by pushing themselves to be as great as they wish to be. · Create a learning environment. · To have lots of FUN. · To become a positive, and supportive soccer player on and off the field. I want players to have fun playing the game. I want to see the kids grow as a player in a positive, and encouraging environment and sport. I just want the young players to feel better about their abilities as a player, so that they have a more positive experience playing soccer. If they don’t have fun, they will get bunt-out and quit. If they have fun, and learn, and have good experience, they will be playing soccer for many, many years to come. Perhaps they will play pro, or perhaps coach soccer themselves later on. Thank You so much for allowing us the chance to help you become a better soccer player. This is going to be a developing program for the players that wish to learn more, and become a better player. The teams may have 5-6 players. 4 field players including a goalie on smaller fields. The teams will be made as fair as we can. We wish to make this as fair as possible. Please have fun and a good time. SKILLS WITH GOALS IN MIND! THIS WILL BE FOR THE SERIOUS SOCCER MINDS. 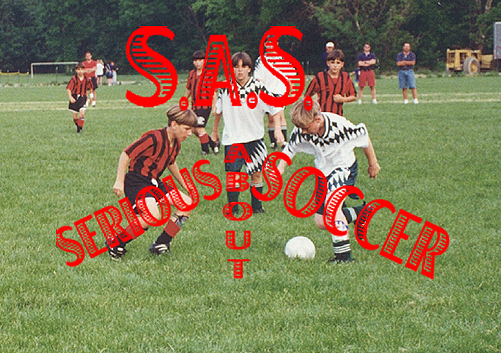 ARE YOU READY TO CONTINUE BUILDING YOUR SOCCER SKILLS? With at least 3 years of playing experience that want to become better soccer player. Involved in this program if you are not going to be on a spring soccer team. I hope to start towards the end of April (depending on weather) and go to throughout the summer. Soccer Skills, it should work out fine. OR CALL JEFF STIFFLER TO BE ADDED TO THE LIST.